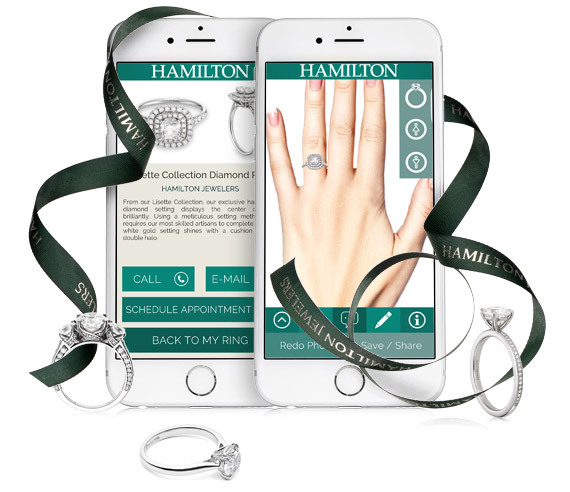 Now you can try on dozens of bridal ring style options from your phone. View engagement rings and wedding bands from our exclusive collections. and browse our bridal collection. post on social media, send a 'hint' to someone, or just save the image. Special features include color drawing and captions to customize your perfect shot! REGISTER FOR THE HAMILTON JEWELERS BRIDAL EVENT Space is limited & registration is recommended Two Days Only SATURDAY, APRIL 14th & SUNDAY, APRIL 15th.